... a room that is all about precision, proportion, and light. so perfect. I am such a sucker for spaces conceived primarily of wood. There is something so warm about the space you highlight above. 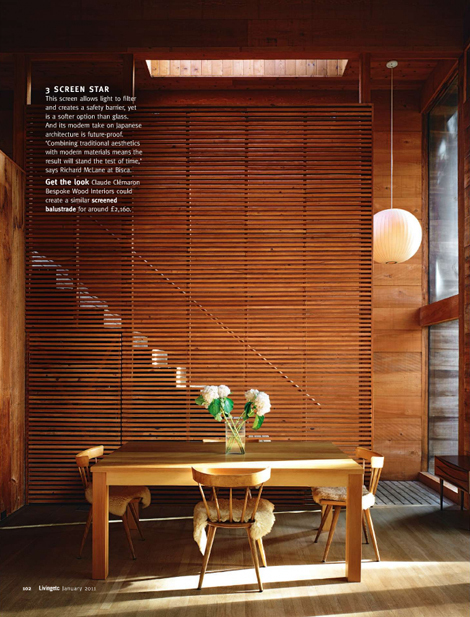 The light filtering through the pattern of the wood slats - so inviting. jen - i agree. it's rare to see a space with all wood done so well. i particularly like the nelson pendant lamp against the straight lines/edges. I have that exact picture clipped out and saved. LOVE it.